Margaret Claire Vernon married in 1983 and had three children, Gareth, Bevan and Bronwyn. Claire Vernon graduated with a Degree in Social Work from the University of NSW and worked for 10 years in counselling. In 1995 she completed a Public Sector Management Course. Until 1997 she worked as a Senior Policy Officer in the NSW Department of Health. In January 1997 she won the position of Executive Office of the Violence against Women Unit in the Attorney-General’s Department. In 2003 she was the Department’s Women’s Liaison Officer for International Women’s Day. She oversees the Attorney-General’s Spokeswomen’s Program and is Director of Victims Compensation. In 2004, she was appointed Director of the Community Support Branch and Director of Home Care within the Department of Aging, Disability and Home Care. Claire Vernon is a feminist who campaigns for social justice and women’s rights. She is involved in local community activities and is President of the Before and After School Centre at her children’s school. 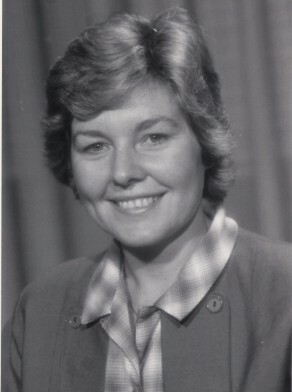 Claire Vernon was Alderman for Newtown, 14 April 1984 until 26 March 1987 when the Council was replaced by a three-member Commission. She was a member of the Community Services Committee, the Health Committee, the Health and Environment Committee and the Budget Management Committee. She was Chairman of the Equal Employment Opportunity Implementation Committee in 1984. She was also a member of the Finance, Industrial Relations, Budget Management and Equal Opportunities Committees from 1985 to 1987. She was an Independent.